Michael R. Detty is the author of Tellurium-Containing Heterocycles, Volume 53, published by Wiley. 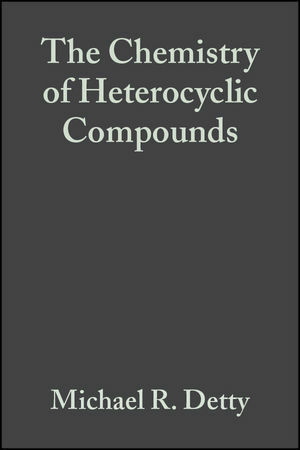 Marie B. O'Regan is the author of Tellurium-Containing Heterocycles, Volume 53, published by Wiley. Tellurium-Containing Heterocycles: Reviews, DistinguishingFeatures, and Utility. Tellurophenes, Dihydrotellurophenes, and Tetrahydrotellurophenesand Their Benzo and Dibenzo Analogs. Telluranes, Tellurins, and Other Six-Membered Rings Containing OneTellurium Atom. Tellurium-Containing Heterocycles with at Least One Group VaElement (Nitrogen, Phosphorus, or Arsenic). Tellurium-Containing Heterocycles Composed of Group IVa (Carbon,Silicon, Germanium, and Tin) and Group VIa Elements (Tellurium,Selenium, Sulfur, and Oxygen). Tellurium-Containing Heterocycles with Hypervalent or CoordinationBonds to Tellurium (M. O'Regan).